To keep the Board of Directors and IAG informed of key early childhood issues in individual countries, and ensure initiatives are successfully implemented locally, experienced early childhood professional are designated to represent the Foundation in nations throughout the world. If you are interested in becoming a National Representative, please review the job description here. 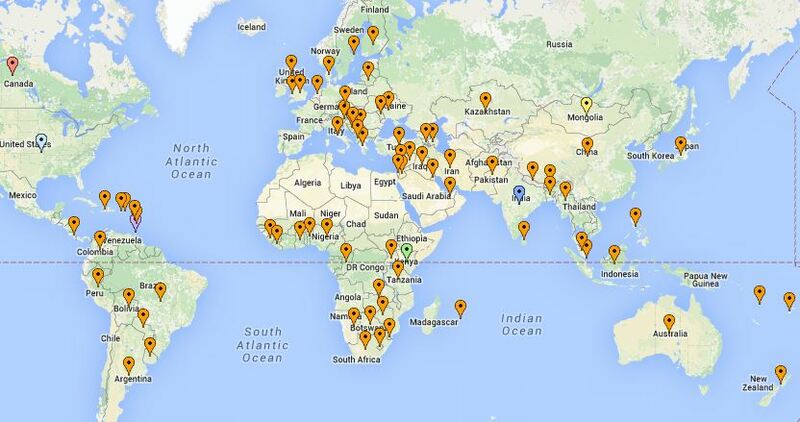 View our current World Forum National Representatives in a full screen map. We are still searching for NReps in Austria, Bulgaria, Chad, Djibouti, Estonia, French Polynesia, Gabon, Hong Kong, Iceland, Kyrgyzstan, Laos, Morocco, Norway, Sudan, Taiwan, Vatican City and Western Sahara. If you know someone who would be a great National Representative in an unrepresented country please contact Bonnie Neugebauer. Thank you to our current World Forum National Representatives!